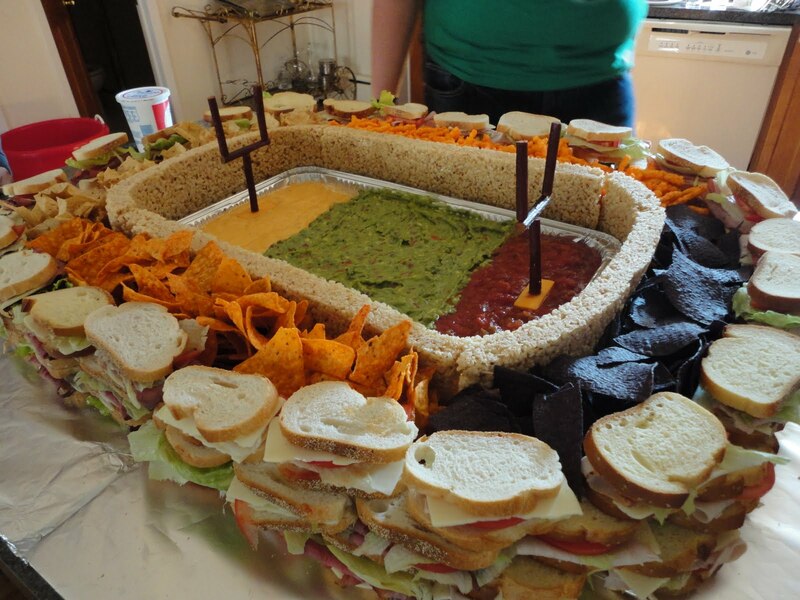 Wow this has got to be the ultimate snack train for watching football this season! 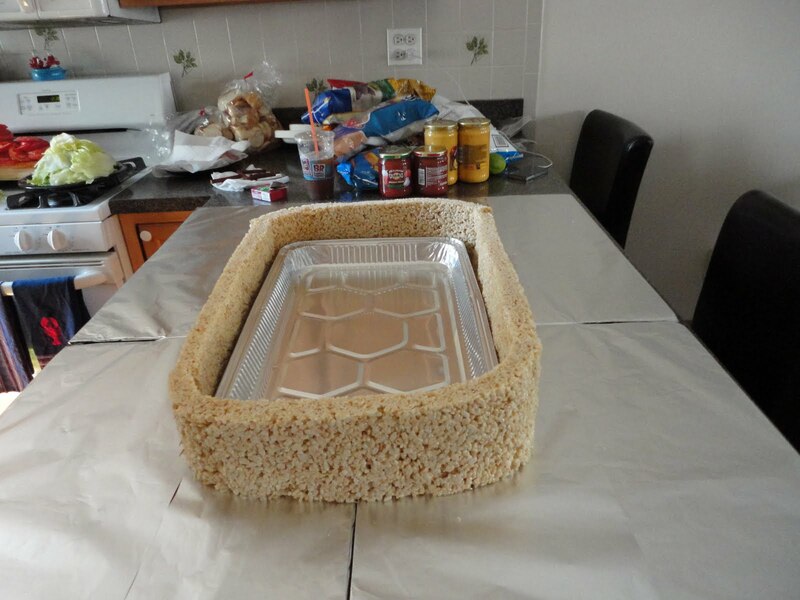 Did you notice the walls are made of Rice Krispy Treats! Don’t you love this idea? 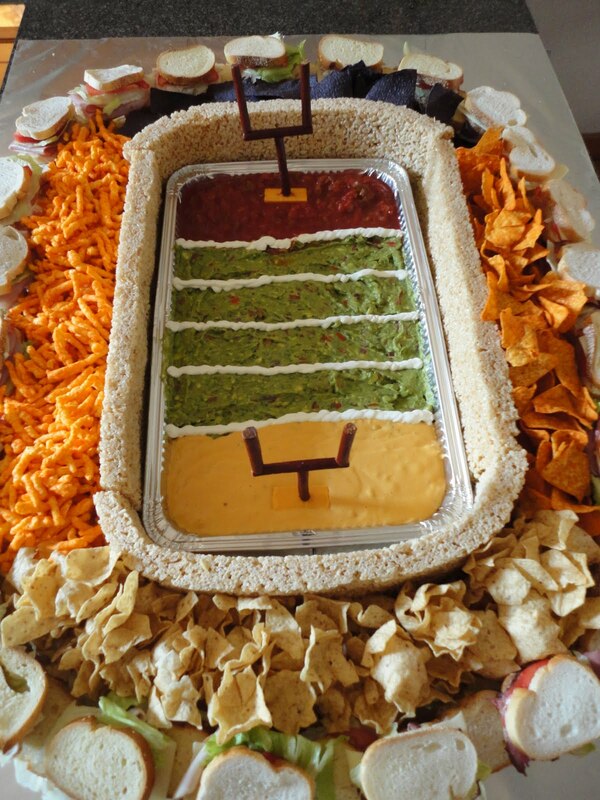 I think my husband would be so proud if I had something like this ready for him and his buddies before a big game! Hi Erin. I know! Isn’t this amazing?! There is no right or wrong way to make your Snackadium. You can use whatever you love!Thanks to the guys over at Still Learning in this Life, we get a pretty good idea of where to start! Hope that helps! I would take half of the avocado dip and put salsa in. Just do it to the size of the people you have invited. Hi Gayle, these are rice crispy treats. Hope that helps! Hi Gayle! They’re rice krispie treats : ). How did you separate the guac, salsa and cheese dips in the middle? How do I make the field goal posts?